Valentine’s Day is always special for Robert Wong and wife Carla Maye Wong. This year, however, Feb. 14 was extra special. 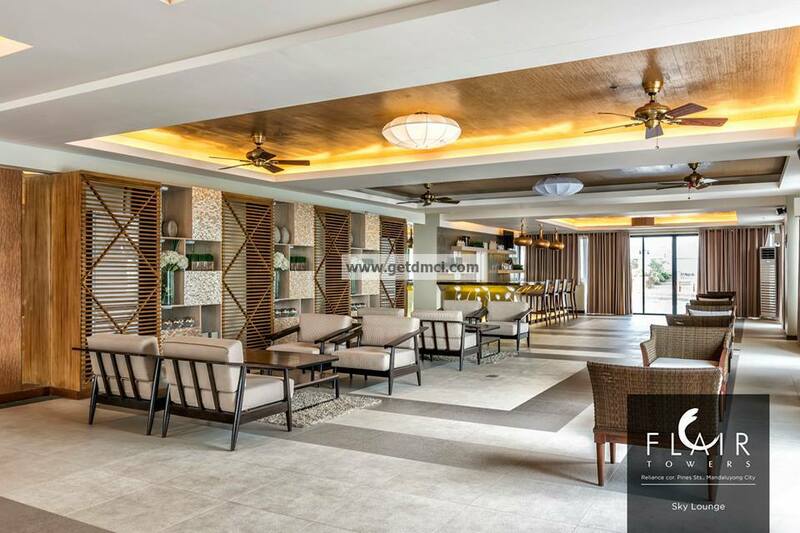 It was the day they received the keys to their new home at Flair Towers, DMCI Homes’ resort-themed residential condominium community in Mandaluyong City. Flair Towers became a celebration of love for the Wongs when they came over with their baby to see their two-bedroom unit in the 25th floor of South Tower, one of two 40-storey buildings in the community now ready for occupancy. “We’re very excited for our new home. We’ve waited for this for three years,” exclaimed Carla. Flair Towers have fully functional, elegantly designed and spacious studio, one-bedroom, two-bedroom and three-bedroom units. The Wongs find their choice perfect for their small family. “The two-bedroom unit is just right. We only have one kid,” said Robert. When the couple decided to buy their own home, they checked other DMCI Homes condo communities, which they also found very nice and of good quality. 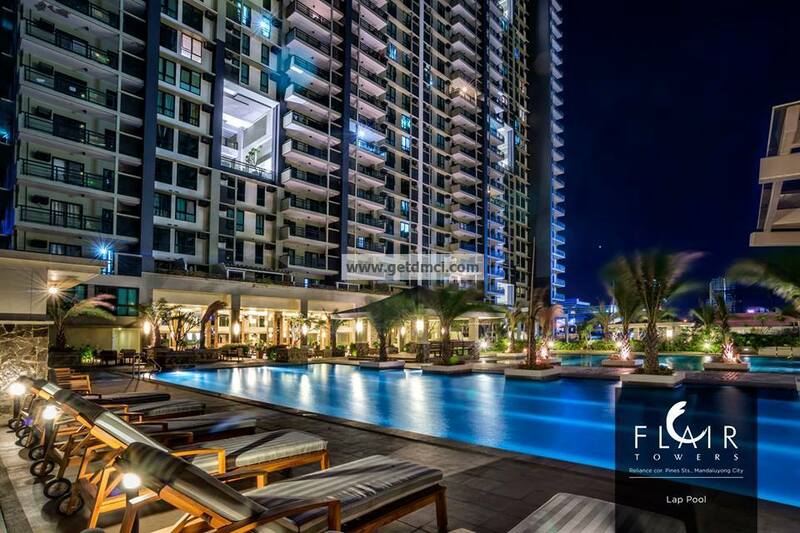 But the location of Flair Towers at the corner of Reliance and Pines Streets in Barangay Highway Hills became the number one reason for choosing the community. 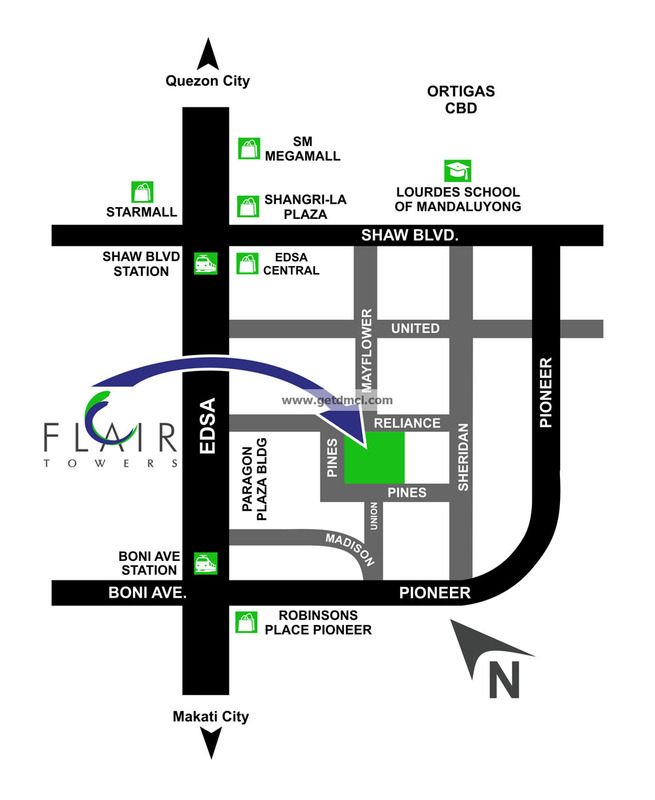 Flair Towers is surrounded by major roads, including Pioneer Street and Shaw Boulevard, giving residents convenient access to public transportation. The MRT Boni Avenue station is just two blocks from the corner of Reliance Street and EDSA. 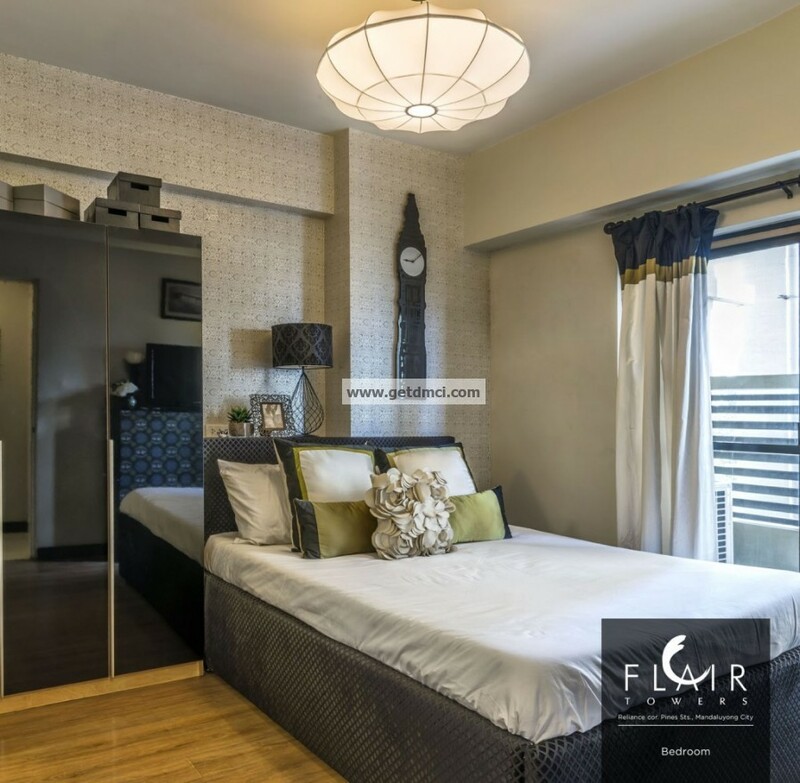 The community is also within the Ortigas-Mandaluyong central business district with the Shangri-La Mall, Starmall, Robinsons Place Pioneer, SM Megamall, The Podium, and Metrowalk just less than 10 minutes walk away. Also nearby are the Lourdes School Mandaluyong, University of Asia & the Pacific, Poveda Learning Center, La Salle Greenhills, The Medical City and Cardinal Santos Medical Center. Another consideration of the family for choosing Flair Towers is its amenities. 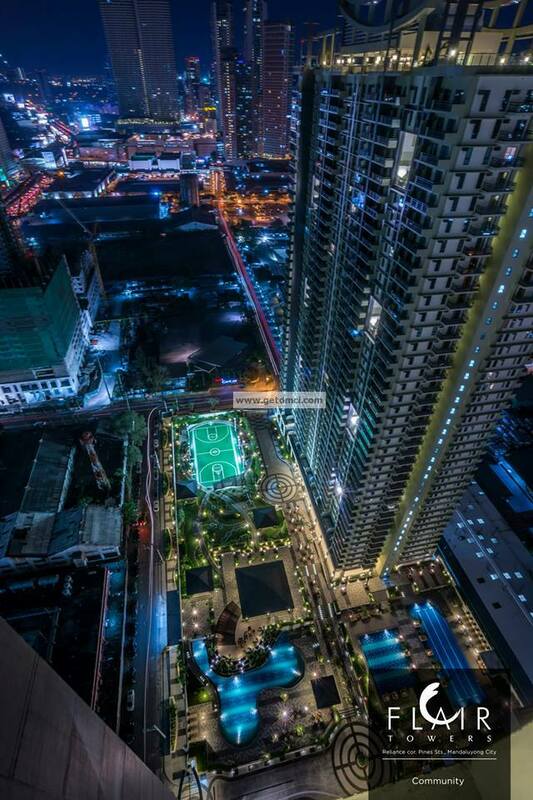 “DMCI Homes does not skimp on the amenities that they offer,” according to Robert. Recreational amenities occupy almost 60 percent of the 1.4-hectare complex to blend structure with nature. There is a Central Amenity Core hosting recreational facilities and spots such as a basketball court, jogging trail, playground, and the Pool Complex with its lap pool, kiddie pool, lounge pool, shower area, palm promenade, alfresco view decks, picnic grounds, and pavilions. Lush landscape adds to the pleasure of relaxation and courtyards serve as private, rhythmic spaces to pause, relax and rejuvenate. Each tower has function rooms for family celebrations and fitness gyms. A luxurious grand lobby with wireless Internet-connected common lounges greets residents and guests. The South Tower has a music room equipped with instruments. DMCI Homes’ trademark Lumiventt design provides breezeways at the end of each floor, Sky Patios or three-storey high opening at the front and back of each building, garden atriums every five floors, and Sky Lounge, Observation Decks and jacuzzi at the rooftop. These architectural features allow residents to enjoy natural ventilation and illumination within the building. There is a 4-level basement parking, six high-speed elevators per building and garbage rooms per floor. A property management office takes care of the general maintenance and 24/7 roving security for common areas, organizing of social events, and newspaper delivery. The Wongs also found the Flair Towers affordable. “The price is very reasonable, very fair, based on the value that you are getting for your money,” said Robert. There was no worry buying a home and shelling out money when the towers were not yet up despite hearing stories about condos still not finished 10 years after pre-selling. “I knew when we bought our unit here at DMCI Homes, none of those things will happen. Before we chose to buy a home here at Flair, I made sure to go with the company that is honest, already established in the market, and well-respected,” said Robert of the country’s first Triple A builder and developer of premium quality, urban-friendly, fully serviced communities. After making their Valentine’s Day more sentimental, Flair Towers will figure in another memorable celebration of the Wongs.